One of the potentially more underused social media websites right now is Tumblr, which is a micro blogging site that lets customers post short blogs and multimedia. Think of it as somewhat of a cross between Twitter and Instagram. It has become increasingly popular with young users, which is why it is important for businesses and individuals alike to embrace it. Young people tend to dictate trends in social media. Right now, there are seven great add-ons available that can make your experience on Tumblr better. Below are a few of the best. This add-on is one of the best known extensions for Tumblr, and it’s a play on words for the name of the site. One of the best features it includes is the ability to mass edit posts by selecting multiple posts at once. It also enables quicker reblogs, and has a number of useful features to make it easier to use the site. This is an extension in Google Chrome that allows you to modify your Tumblr feed depending on content that you want to avoid or never miss. For example, if you DVR’d the last episode of your favorite television show or a sporting event, you could add it to a black list. This will prevent any related content from showing up in your feed. On the other hand, if you specifically wanted to discuss the content once you saw it, you could add it to your white list, which would make it show up in your feed at all times. This is an extension that makes it possible to easily change the appearance of Tumblr. You can alter the dashboard background, icons and a number of other design elements. You can use themes or write your own if you are familiar with CSS. It’s pretty easy to use and it’s a great way to mix it up if you are getting bored with the design of this social media site. With this add-on, you can do anything in Tumblr that you would do with a mouse or keypad without lifting your hands off of the keyboard. With built in shortcuts, you will be able to get things done quicker and work more efficiently on Tumblr, thus speeding things up. 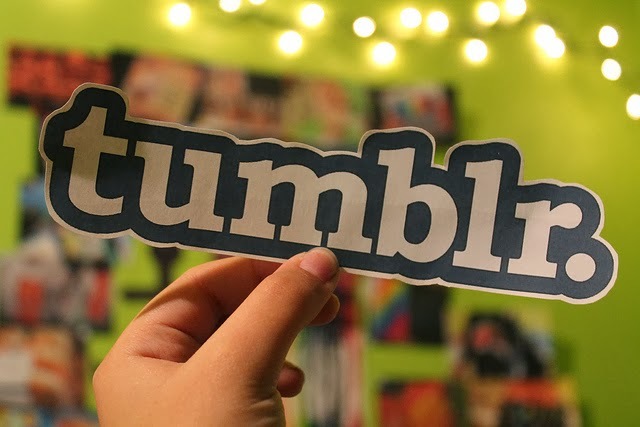 For true power users that really want to get the most out of Tumblr and use it very often, this might be the best add-on available for Tumblr. Whether your social media site of choice is Tumblr, Twitter or Facebook, this should serve as a reminder that you should always be on the lookout for new add-ons or features that can benefit you or make it easier to use. Things change fast in the digital age, and there are often new apps, extensions or add-ons available for social media networks that can make it possible to do a lot of really cool things. Please leave your comments below and share it with others on Facebook and Twitter. I am Andrew Selwood, I love to write about social media with a keen interest in writing about Tumblr. I work full time at 123Covers.net – Facebook Covers, looking after their social media campaigns.